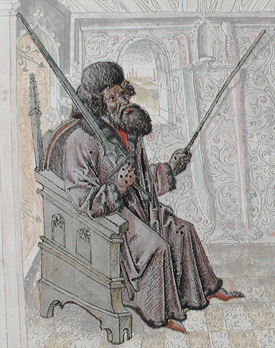 Although there has been a rise in interest for roughly the last three decades in Renaissance and Medieval European Martial Arts, or what some refer to as Western Martial Arts, there appears to be surfacing what may be a level of contention between what the author of this article will refer to as “Purists” and “Innovators.” What is the matter of contention, or problem between these two classifications of martial artists and why does it exist? Furthermore, should there really be any issue in the first place? 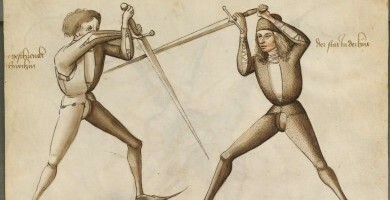 For the past several decades, and perhaps even more so in the past eight to ten years there has been an ever-growing interest in Medieval and Renaissance Martial Arts. We are even seeing a revival in the mounted joust as a competition such as on History Channel’s, Full Metal Jousting. For those of you whom are interested in such arts, the current decade really is a wonderful era to be living in. We are seeing the revival of a very rich and wonderful martial arts heritage left to us by a number of great old world masters. Within this revival of sorts I have been acquainted with and also closely befriended by very skilled individuals on both sides of this emerging fence. On one side of the fence there is the “Purist.” This individual is one of whom is quite scholarly in his/her studies of primary source documentation and strives to interpret these original sources and train in the ways depicted and written in the sources. He will almost always stick rigidly to the style in which he is training without any attempt to deviate slightly from it. His goal, ultimately, is to interpret the primary source material into his training curriculum and go no further. Herein is the reason for the term, “Purist.” The “Purist” elects to preserve what he finds in historical documentation and bring it from the page to physical action in the form a personal training regime and the training of others. That ultimately is it. No variation whatsoever takes place from the historical records. The other side of this fence are the type of martial artists called the “Innovators.” To put it in very simple terms the “Innovators” are those martial artists of whom, like the “Purists,” engage in the scholarly activities of researching and doing their best to accurately interpret primary sources. But, the difference is that once the “Innovators” reach a certain point in their training of a particular original style of historically accurate martial art, they begin to brain-storm and expand the art. The Innovators, unlike the Purists, ask the following questions: “What else can we do with this particular weapon/style? How better might we be able to defend against this, or manipulate that, to create an even more efficient and effective martial artist and art form? How can this art offer even more to the modern person?” In essence, the “Innovators” are picking up where the old masters left off. And furthermore, in the minds of many practitioners of Western Martial Arts (the term used herein for martial arts of European origins of the Medieval, Renaissance, Ancient, and Classical periods to distinguish them from the extremely pervasive Asian/Eastern styles) it gives even further credence to the belief that they are not practitioners of an antiquated art limited or confined to centuries old documentation. They are practicing a living, breathing martial art form that has a solid, well documented foundation, and yet is continuing to grow and expand into knew ideas of the employment of weapons centuries old. Not only that, but the “Innovators” even theorize about, make and test new ideas in weapons, forms and techniques based on the original forms. The “Innovator” believes that if not to train in the origin texts they are being cheated horribly of the necessary knowledge and skill they should all hope to enjoy, but too, that if not to think further and be creative they are also cheating and robbing themselves and others of the knowledge and skill they hope to enjoy. So what about the conflict and the building of walls between these two? To date the author of this work can state from his own experience that the “Innovators” look upon the “Purists” with a great level of respect for the work that they are doing and the advancements they have made for the preservation and revitalization of a very rich and magnificent martial arts heritage, specifically dealing with Western Martial Arts/Historical Martial Arts. However, the same respect is not necessarily returned from the “Purists” to the “Innovators.” The “Purists” tend to look down upon and perhaps even shrug off the “Innovators” and this is unfortunate. Both have an extremely vast array of knowledge that can be shared with new students of whom register in their schools or clubs. Both have much the same to offer based on well researched and documented primary sources, but one takes it a step further and thinks, discusses, theorizes, tests, retests, and so on and expands. Is this not what artists do? They study and learn from previous works and teachers, and then strive to create new art as well. The “Purists” and the “Innovators” are both artists/historians and in the end both should be appreciated for the research and training they put into their arts. This lack of respect by one of the other can, perhaps above all else, serve to be most harmful to the spread of knowledge and understanding of the many rich styles and forms of Western Martial Arts. Fencing Master. Roger Norling. Sparring Swords Introduction. January 22, 2011. http://www.hroarr.com/reviews-sparring-swords-introduction.php Accessed May 4, 2012. New Ulster Steel Fighting Sergeant of Armsmen Training Photo. Jefferson P. Webb. steelfighting.com. May 4, 2012. I really couldn’t agree more. I absolutely respect what the purists are trying to preserve but I myself look towards the evolution of my martial art to be the most effiecient, devestating, and practical for the modern world. However I must say that the few times I have personally met those that follow the path of the purist I have felt as if I am being looked down upon by deviating from what they see as the only way to learn. Also this was a very insightful look at the different concepts of learning in martial arts in general, not just western martial arts but it’s eastern counterpart as well. I can honestly say, that I am standing with one foot in both camps. It must be understood that the treatises of old were written in verse and in code to preserve it from being exploited by the “enemy”. Therefore, it can be assumed that it would not have been a comprehensive and in-depth document that would reveal all of its secrets once it has been decyfered and that many, if not most of its secrets would have been ommitted from its pages as well. In my experience and study of many of the original texts, I have found that only the bare basics were touched by the authors of such. In most cases, large gaps were left, perhaps on purpose, to either be transmitted by word-of-mouth, or to allow for the freedom of self interpretation. My personal feeling is that one should not and cannot be rigid in one’s study of the original texts and that there has to be a freedom of interpretation as well as innovation. To rigidly study the texts word by word, one would be depriving one’s self of the full richness and flavour of the style. In my experience and from what I have seen in modern day live steel combat, is that many, if not most of the general interpretations fly out the window during combat anyway. I guess it would have been even moreso, if in a real life-or-death scenario. Anything goes, when your life depends on it and one would employ any means necessary to overcome one’s adversary. This then begs the question: Would it not be worth it to do and in-depth study of the original treatises, but also to build upon them broaden one’s field of experience?